After discovering the craziest abandoned places in New York state, we decided to take another look through New York for spooky abandoned spaces -- and this time, keep it close to home. Who knew that in a city where the average monthly rent has climbed over $3K (hahaha, sure, why not, let's just keep raising that number), there are many massive buildings -- and some entire islands -- that have been returned to the wild. At this point, we're strongly debating either becoming squatters or turning into squirrels. Adorable, residential Roosevelt Island, now largely known for its tram rides, was once occupied by little more than a few hospitals and a prison -- back then, it was known as Welfare Island. 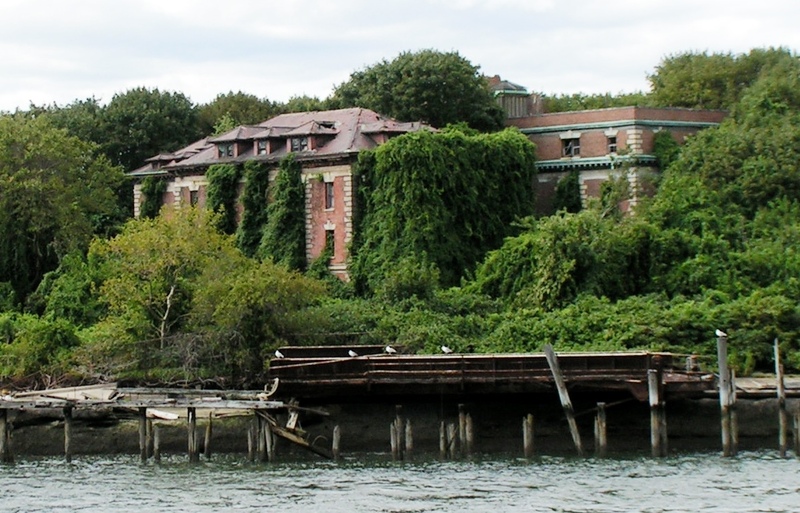 Of the remaining structures belonging to the island's past, the 19th century smallpox hospital designed by famed architect James Renwick is by far the most picturesque. If you go for supernatural rumors, however, this space is also the most haunted in the entire city -- and given that the death rate in here was pretty steep, it doesn't take a game of 20 Questions to figure out why. In 1975, the hospital was declared a New York City landmark, and efforts have been made to keep the space preserved as a ruin. It's totally legal to explore the place from a distance during the day -- good luck checking it out on your own at night. 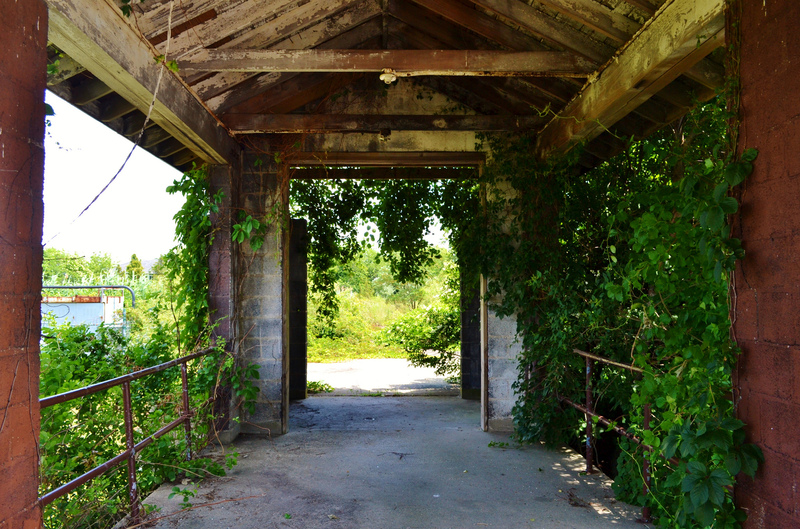 The city's first airport, Floyd Bennett Field, was once a home base to many famous aviators, including Amelia Earhart. While the airfields have been closed to commercial flights for decades, you can visit ruined hangars and outbuildings, many of which are covered in graffiti. The field isn't unmonitored, however, and parts of it are still in use by the National Park Service. If you visit, you can totally pretend you're at Camp Firewood -- they'll let you go camping (like, in a tent), as well as do camp-like activities like shoot arrows, ride horses, catch Elizabeth Banks making out with Paul Rudd behind the shed, whatever. There's also a hangar full of antique planes, which is pretty cool. Opened in 1927, the Loew's 46th Street Theater was a lush example of architect John Eberson's style of lavish movie palaces -- it was rich with gold facades, ornate plaster sculptures, and faux Italian gardens. 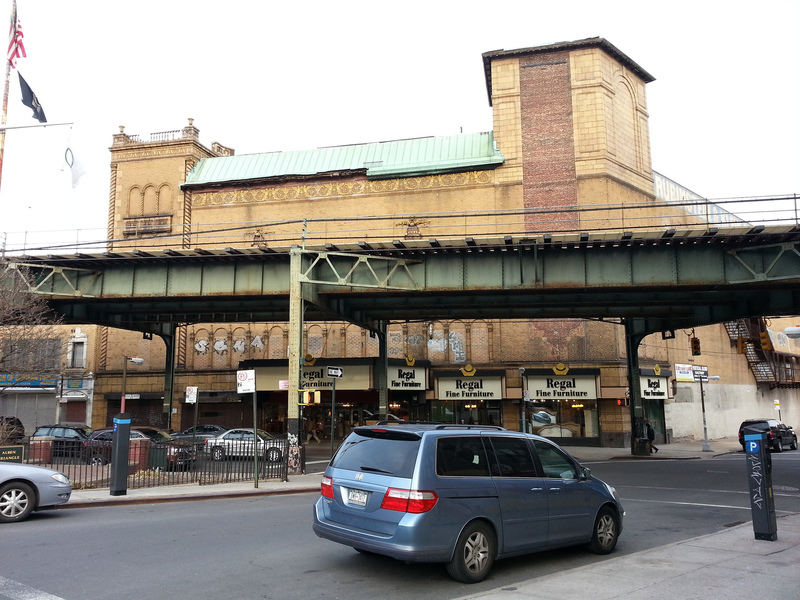 In the late '60s and early '70s, the space was used for rock concerts, but it got shut down in 1973. 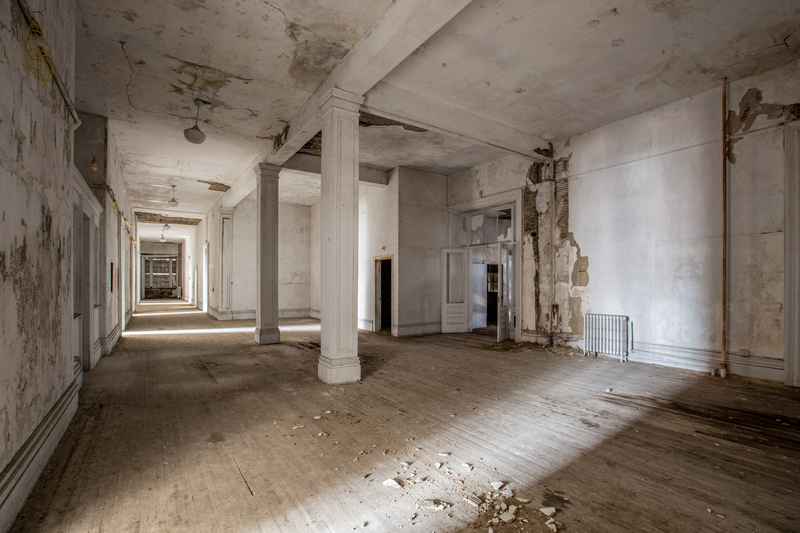 Sadly, this fall, the interior started being gutted -- some architectural elements remain, and you can still try to sneak in before the entire thing has been renovated (although we'd never recommend such a glaringly illegal thing!). Originally designed for the 1964 World's Fair, chances are that you're probably more familiar with this structure either from living in Queens or watching Men in Black. 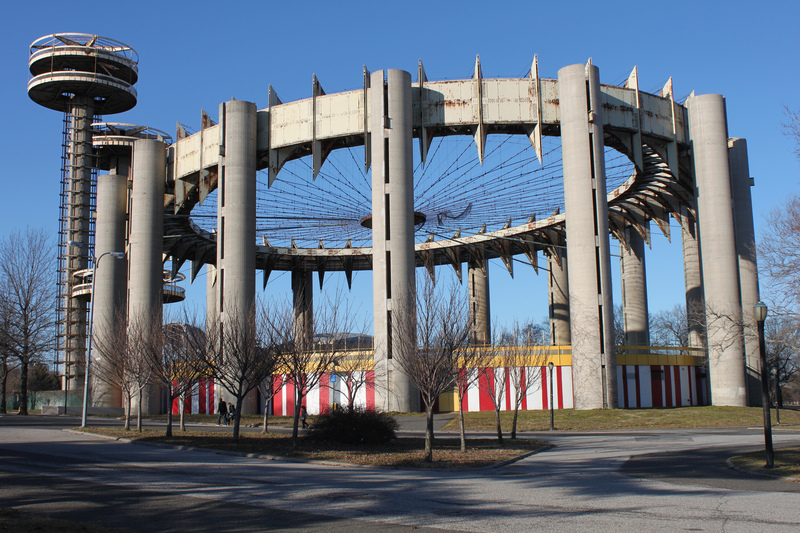 While the towers have recently received a paint job, and there are talks of restoring the space to its former grandeur, the '60s-style futurism of the New York State Pavilion is still under lock and key -- and breaking in takes some effort. 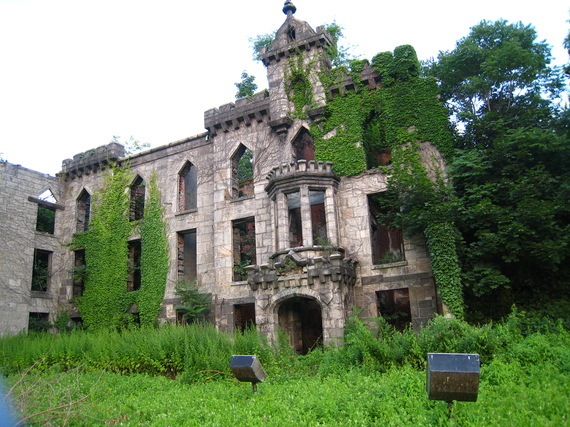 To find out about even more incredible abandoned places in NYC, get the full story at Thrillist.com!